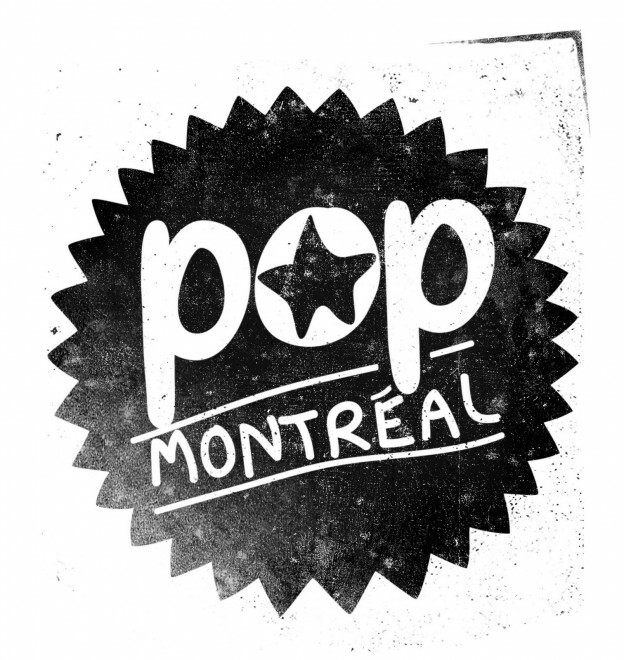 The final show of the 2014 POP Montreal festival was held at Little Burgundy, a cozy dance hall in the basement of Saint Michael church. Late-night shows were held here throughout the weekend. 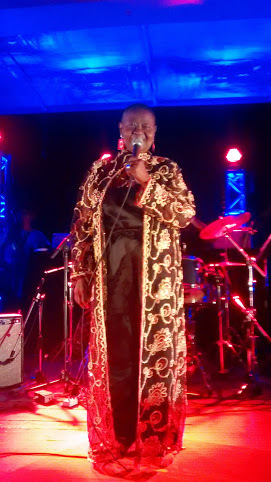 The closing lineup was Fwonte & Poirier, Pierre Kwenders, Kobo Town and Calypso Rose. 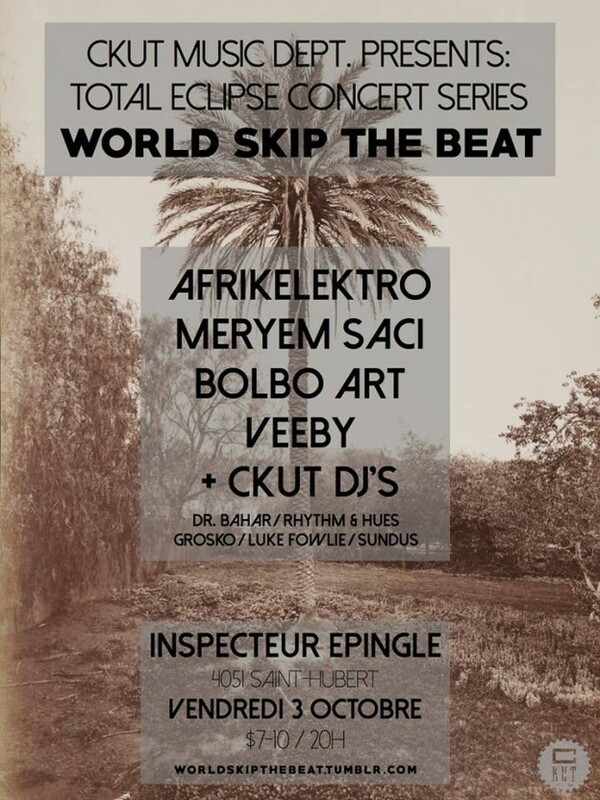 This entry was posted in CKUT programming and tagged calypso rose, concert review, kobo town, pierre kwenders, Pop Montreal on September 30, 2014 by librarian. Listeners are gonna be treated to all things WYRD ~ from how the site got its legs to the start of National Drone Day, plus episodes about the labels of Canada, Wyrd Distro and the empowering How-To section of the website. This is a residency to be reckoned with! 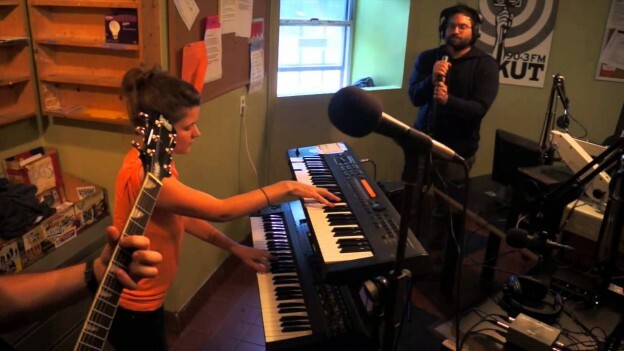 Today on the show we’re chatting with WC founders Marie LeBlanc-Flanagan, Aaron Levin and Jesse Locke – stay weird, CKUT. This entry was posted in CKUT programming and tagged If You Got Ears, Weird Canada on September 30, 2014 by librarian. 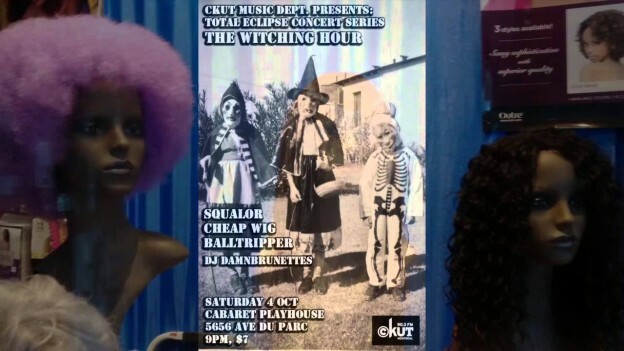 Gone so soon — September, this is the end… So, the folks over here at CKUT want to extend a HUGE “thank you” to Pop Montreal for once again rocking our city in so many unexpected ways; from the symposiums to shows, art installations to the record fair, plus all the late night dance parties that had us rubbing our eyes till noon the next day. The 13th edition was a another success! On The Montreal Sessions today we’ll try to relive the reverie with music and memories of this years fest, tune in at 90.3 FM from 3-5pm this afternoon. This entry was posted in CKUT programming and tagged Pop Montreal, The Montreal Sessions on September 30, 2014 by librarian. Hey folks, Nick here ~ catch me hosting Underground Sounds tonight 8-10pm where I’ll be dishing out local tunes on the airwaves at 90.3 FM or CKUT.ca — if you listen to the website and the radio at the same time there’s a wicked delay that’ll make the show especially psychedelic. Anyway, eager listeners will get some additional ear candy from the local scene tonight ’cause I’m focusing my attention on two gigs in particular this week…CKUT’s TOTAL ECLIPSE CONCERT SERIES!!! 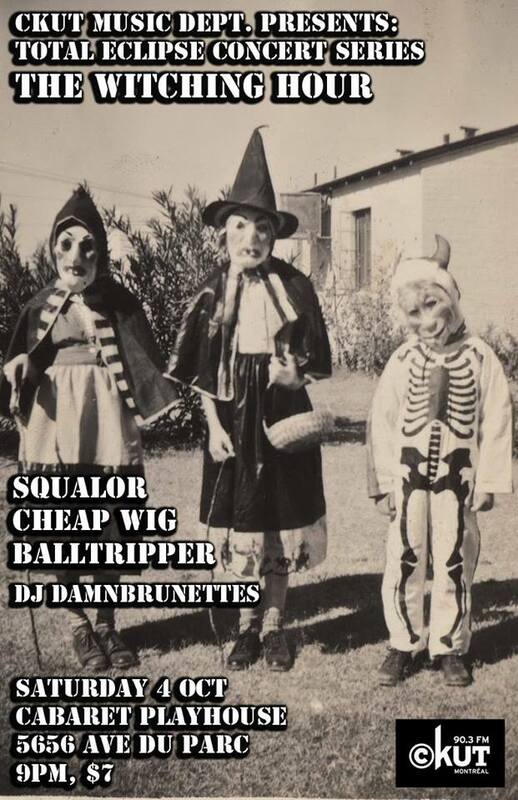 The first gig is October 3rd and features Afrikelektro, Meryem Saci + more and the second is October 4th with CHEAP WIG, Balltripper and Squalor. I’ll have Sam from CHEAP WIG on the line talking about what she’s listening to these days and how pumped the band is for the big gig on Saturday! I’ll also be joined by Rachel Weldon and Christina Bell, who are hosting If You Got Ears in October, for a triple-DJ-threat not to be trifled with. This entry was posted in CKUT programming and tagged Cheap Wig, If You Got Ears, Underground Sounds on September 29, 2014 by Nick Schofield. The Montreal Sessions :: Pigeon Phat !!LIVE!! This entry was posted in CKUT programming and tagged pigeon phat, Pop Montreal, The Montreal Sessions on September 29, 2014 by librarian. Vince, the voice behind CKUT’s long-running musical smorgasbord The Kitchen Bang Bang Law, is a man of many talents: all-star radio host, crate-digger extraordinaire and… writer. Digging through the archives, he discovered an interview with the legendary Danielle Dax dating back to 1988 (the year after CKUT got its FM license, y’know?) that remained unpublished up till this day. Dust this one off, it’s a bit of a gem… and stay tuned to this here music blog for more written pieces from CKUT veterans and new volunteers alike. This entry was posted in Reviews on September 26, 2014 by admin. !!! CKUT GARAGE SALE !!! 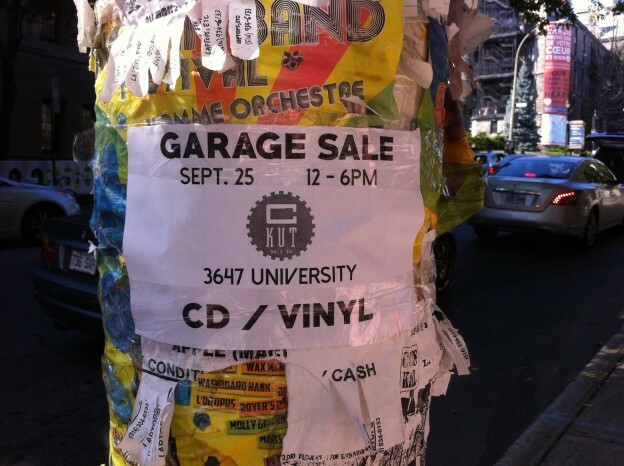 If you’re in the neighbourhood, come by CKUT (3647 University) for our Fall Garage Sale. It’s going on on this beautiful sunny afternoon, Thursday September 25, noon to 6pm. This entry was posted in CKUT programming and tagged garage sale on September 25, 2014 by librarian. 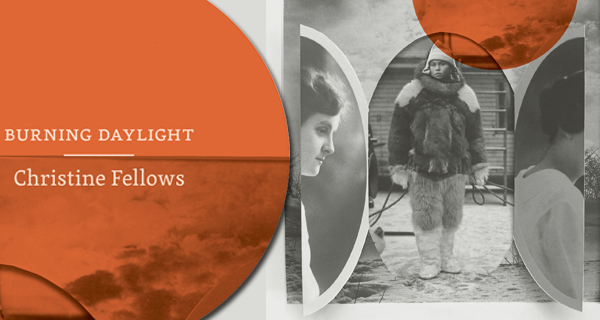 Christine Fellows’ sixth album Burning Daylight is a concept album about winter which draws inspiration from the stories of Jack London as well as from her travels through the Yukon and Nunavut. The song cycle and accompanying book of poetry equally spotlight her words and her music, which seems fitting for an artist whose songs have always painted bold, clear pictures. This entry was posted in CKUT programming and tagged album review, Christin Fellows on September 24, 2014 by librarian.